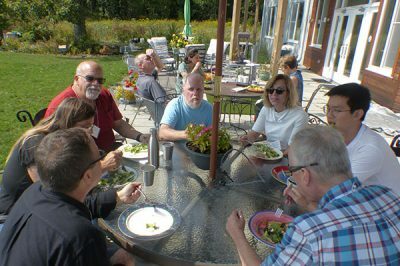 On a warm Saturday in mid-September, twenty-five people gathered for a day-long advocacy Learning Event, held on-site at TREE, EcoVillage Ithaca (EVI) third neighborhood. Before the day was over, it was clear that the first professional learning event for landscape architects held at EVI was a big success. 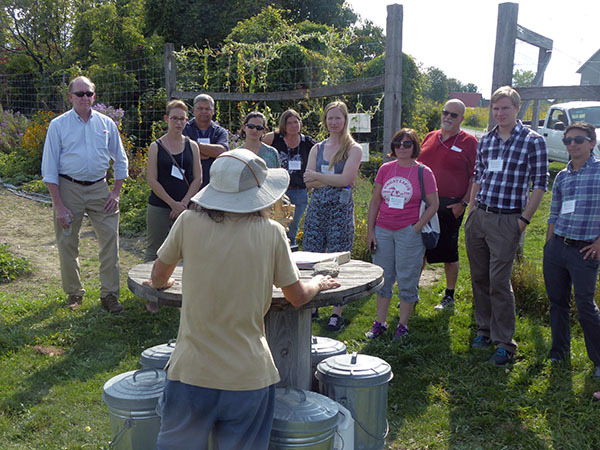 Environmental Advocacy in Central New York: How are local advocates for sustainability and environmental responsibility influencing change in the region? was co-sponsored by the Upstate American Society of Landscape Architects (ASLA) and LEARN@EcoVillage (LEARN). 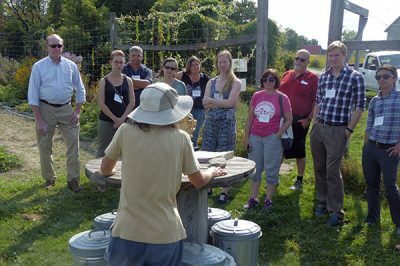 Landscape architects from around upstate NY earned six continuing education credits for their participation in the day. Sandra Steingraber, an acclaimed ecologist, author and activist who has been a key organizer in helping to protect New York State waters from chemical contamination and shale gas fracking, gave a keynote address that, according to Palmer, was a “call to arms for landscape architects to get involved.” Participants were impressed with her knowledge and passion. One of the favorite parts of the day for many participants was an hour and a half walking tour of EVI after lunch. 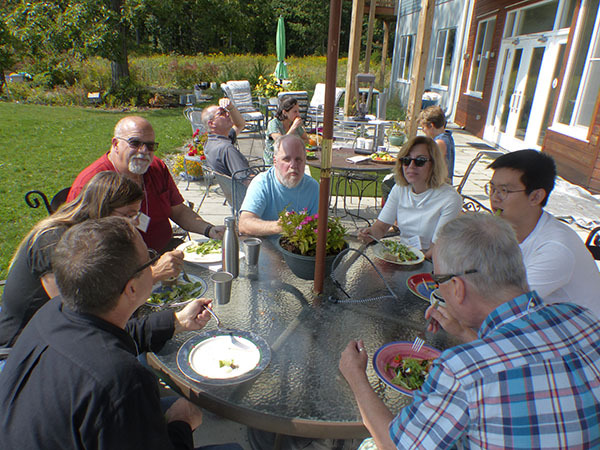 Led by knowledgeable residents Bill Goodman, Town Supervisor for Ithaca, and Francis Vanek, engineer, author, and Cornell lecturer, participants were impressed by the scope of EVI’s environmental commitment, but also its social and economic benefits. They also appreciated the personal touch of visiting the homes of several residents.